Aside from old-school content writing, blogging is fast becoming a lucrative career in the World Wide Web. From social media influencers to vloggers, blogging has evolved to become a multi-faceted career where you don’t just get paid by advertisers but even receive lots of freebies or sponsored trips to events by sponsors with all expenses paid. And best of all, you don’t need to be a degree holder to be successful as a blogger just as long as you have a knack for writing and can write really engaging content that will get the readers hooked. Many popular bloggers nowadays with high site traffic really earn more than enough from their blogs but many will also agree that it isn’t always easy starting out. If you have plans to become a professional blogger yourself, it would help to know which blogging mistakes to avoid and not just solely focus on what to do to get your name and blog out there. Many bloggers want to get their website at the top of search results right away. Some may want to build their subscriber list as fast as possible. Others may not know why or how to organize and measure their efforts. These are just a few of the common issues bloggers can have when they’re just starting out. It’s how mistakes can happen. A business thrives off of sales, so you may think your blog needs to push for that. Bloggers with the wrong priorities may create content that’s pushing self-promotion with the single goal of making an immediate sale. That’s not how blogs are meant to be used, and it’s not how you’ll bring in business. Of course, most bloggers want to make money from their blogs but it isn’t always that easy. First of all, make sure you target the right audience if you want to monetize your blog by gaining qualified leads. Make it a habit of posting on a schedule at least 2-3 times a week. Track the stats for when your people read the content. Schedule posts for those days and times. Train your audience to visit your blog on “new post” days to get the latest scoop. Nobody is perfect. Making these blogging mistakes is common especially when you’re just starting out whether you are a novice or a pro in the field. In order to drive traffic to your site, you have to make an effort in creating quality and engaging content that will captivate your readers and keep them coming back for more. 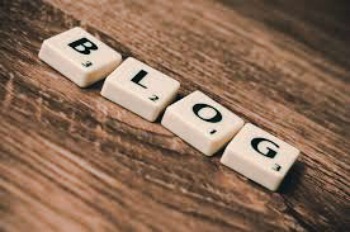 Having your own blog is also a great way to let people know that you are experienced enough in the industry and they can count on your expert words of advice on relevant questions and issues they may have about a related issue. Still, the road to success is a bumpy one, so try to avoid these mistakes as much as you can or overcome one after the other to deliver a blog that will not only generate money but the people’s thumb’s up as well. The world is full of all sorts of people. From the smartest and the not so gifted, you’ll interact with these people as you journey in life. If you have an interest in the sciences and want to rub elbows with the nation’s brightest, joining a science fair or conference is the best thing to do. It provides you an avenue to meet like-minded individuals and be updated on the latest developments of various science programs or projects. Even students can also benefit from these science conferences since it provides them with education opportunities they don’t often have in the four corners of the classroom especially if you have a keen interest in science yourself. The world at large may think of people with scientific interests as nerds and dorks but the truth is their profession is highly collaborative and they get to share ideas and communicate with other scientists like themselves and not just have their heads buried in books or busy with complex science experiments. First of all, why do you go to conferences? I find conferences rejuvenating. They are inspirational and energizing opportunities to connect with the greater scientific community, think about new strategies to approach my research, contemplate the bigger picture, and establish collaborations. A good conference has the capacity to bring a scientist, no matter their career stage, out of a slump. For me, the main benefits are meeting people, honing my communication skills, discussing ideas, and getting input about my work. Often, the inquiries I receive about collaborations and job openings are from people I met at conferences. Papers usually make it seem like the experimental results discovered themselves, and going to conferences allows me to find out about the human motivation and broader context. I also like getting new perspectives on science, making new friends (as life as a graduate student can be a little insular), and the chance to discover a new city. 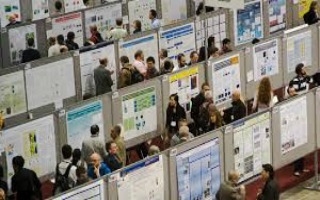 Any scientist knows that attending these conferences not only builds up their resumes but gives them a chance to learn more about new and upcoming innovative technologies you don’t just hear in the daily news. The event will include children exhibitions, workshops and informative conferences on science and health. In the Cortijo Don Elias, there will also be an exhibition entitled ‘Crystals of life’, which will explore the history of crystals and their influence on daily life. If you think that science fairs and conferences are just for boring adults, then you are largely mistaken. It is even better to expose young kids to these fairs to open their minds to the scientific world even at a young age. Making science a fun concept to learn will help them embrace new scientific learning with ease and save them from the dread and challenges most kids feel about difficult science subjects at school. Not only that, the world of science becomes a more tangible thing for their young minds as they get to try interactive workshops during the fair that aren’t available in their schools just yet. Apart from the booming human population, material objects continue to clutter the world. It not only takes up a lot of space in your home and a big chunk of your paycheck but it has proven to be detrimental to the environment as many of these objects aren’t non-biodegradable and some can be toxic too. Attaching sentimental value to an object makes it also harder for people to throw it away and you might probably hold onto it for years. The act of depositing an item into a recycling bin doesn’t make it disappear — nor guarantee that it won’t end up in a landfill — yet it’s quite enough to influence our decisions. Sometimes for the worse. In a study titled “Recycling gone bad,” participants were split into two groups, given sheets of paper and asked to rate a new brand of scissors. One group only had a trash bin in the room, the other both a trash bin and a recycling bin. This group used far more paper to “test” the scissors. A similar finding came from a follow-up study involving paper towels in a restroom. A bin marked with a recycling symbol created a significant uptick in consumption. If the option to recycle is present, it seems, we use more resources: “We think this happens because people think about recycling in terms of its environmental benefits, with less awareness that there are also environmental costs,” said Jesse R. Catlin of Sacramento State University, one of the authors of the study. You can see it all around you. Landfills are as high as mountains. Trash is everywhere. The governments of most countries are now implementing stricter recycling policies to force the people to reduce, reuse, and recycle. Our lives may be fleeting but our trash stays behind and it gets really crowded over time. 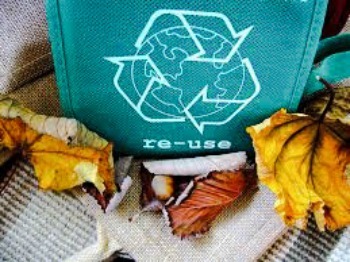 Research now shows that human psychology plays a big role in a person’s recycling efforts. These studies reveal that human behavior is largely influenced by any changes in their surroundings. For instance, we all know what recycling is all about and how it helps the environment yet only a handful does it. Even though education helps in informing people about the subject, convenience plays a big part to how well the majority will support the idea. Will you go out of your way and throw a piece of trash when no trash can is in sight? Or will you save up used plastic bottles for recycling and bring to the next town for recycling since your city does not have a recycling center of your own? While your good judgment tells you to do the right thing, you can easily shrug off the idea and justify your actions using various excuses you can come up with. When it comes to waste management, the experts and government leaders should include human behavior in planning for systems to implement so their efforts do not go to waste and the waste management issue finally be solved. Like the couple analogy, the French sees their government as an important aspect of their lives and cherish it despite the good and the bad. But the passion they have for their government isn’t just that of a silently observing constituent but more of an aggressive advocate whose patriotism can border to dissent anytime. Unfortunately, the parliament seldom intervenes to hopefully resolve some of these serious arguments between the people and the state. The recent French presidential elections have captured the attention of the world’s media. Aside from last year’s US elections, few elections in recent memory have attracted so much attention, commentary and anticipation. In France, the stakes were high. Marine Le Pen of the fascist National Front had, until recent months, been polling ahead of all other parties. The mainstream centre left party, the Socialist Party, had been polling abysmally and scored a catastrophic 6 percent in the first round. The candidate of the traditional right, François Fillon, was embroiled in scandals and, along with his Socialist rival, Benoît Hamon, failed to make it to the second round, leaving the run-off to be contested by Le Pen and the centre right, neoliberal Emmanuel Macron. The political landscape on which this historic and unprecedented election has taken place is vast, complex and shaped by decades of economic stagnation, high unemployment, a mainstream centre left that has consistently attacked and betrayed its working class base and the rise and mainstreaming of Islamophobia. Despite winning the presidential election, protests greeted Macron short after his win as the French people’s way of warning him to stop attacking labor rights even further, which isn’t actually new considering how much the French workers love to protest over the past few decades. It seems as if that the controversial election did not succeed in demoralizing the French union movement after all. Macron had another advantage: he put forth a seemingly reasonable program for curing France’s economic ills, which are critical: government spending at 57% of GDP, the highest in Europe; a retirement age of 62 and a 35-hour workweek; 3,500 pages of employment regulations; an unemployment rate of nearly 10% (double that for those under 25); a GDP growth rate barely over 1%; public debt at nearly 90% of GDP; an income tax rate topping out at 45%; nine million people living below the poverty line; and welfare spending at nearly 32% of GDP. Macron promises to tackle the job and growth-killing policies that have created these dismal numbers, but he’s unlikely to have a parliamentary coalition big enough to get such reforms through. Don’t forget, about a third of the French voters cast a “pox on both your houses” vote, either abstaining or casting a blank or spoiled “white ballot.” This suggests a fragile foundation for Macron’s future government. And if he tries to follow through on his campaign promises, he will likely meet stiff resistance from critics of “neoliberalism,” the epithet in Europe for free-market capitalism. In March 2006, 2.7 million mostly young French people protested against a minor reform of employment law that would allow entry-level workers to be more easily let go. And that was when the president was Jacques Chirac, a socialist who decried “Anglo-Saxon ultraliberalism,” Euro-speak for laissez-faire capitalism. Ten years later, socialist prime minister Manuel Valls faced nationwide riots and protests, some broken up with tear gas, over other employment reforms, which he had to get passed by invoking special powers and bypassing parliament. President Macron and his “neoliberal” reforms are unlikely to be any more successful, given the strength of Mélanchon’s support, the disaffection with Macron of a third of French voters, and the French people’s enduring love for their short work-week and generous subsidies. 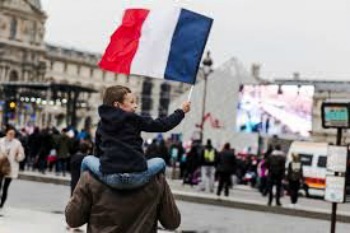 France’s young president has a huge obstacle to overcome in the form of massive unemployment and slow economic growth that has proven to be quite difficult to overcome for quite some time now. Moreover, he’ll likely face an ever-increasing national debt as France tries its best to provide the basic social benefits of its people. If he can’t do anything about these issues, the French would likely take to the streets once more to air their grievances in protest because it has worked for them in the past. We just don’t know, though, whether it will still be an effective tactic because its effects seem to have weakened over the past few years. In spite of the rising costs of air travel and the challenges of securing a tourist visa, many people flock to the US. It’s not surprising at all considering how popular this western country is and the long list of attractions to explore. There is definitely something amazing that will capture your attention no matter what your interests are. Your destinations aren’t just limited to theme parks but there’s a whole lot more to see and visit. And who knows, maybe you’d bump into a popular celebrity in your travels. America’s market share of international leisure tourism declined an average of 11% between October 2016 and March 2017, reports Foursquare, the location technology company known for its check-in app. The decline began in October when market share fell by 6% and reached its low point in March, falling 16%. Foursquare said that there is currently no sign of recovery. Foursquare’s data indicates that residents of the Middle East and Latin America are avoiding the U.S. more than residents of Asia, Europe and elsewhere. Its numbers also indicate that visits to the rest to the rest of world are up, making the U.S. an anomaly. Foursquare said more than 13 million smartphone users have opted into its global research panel and share “always on” location trails that it uses to detect when these phones travel and when they walk in or out of 93 million public places around the world. 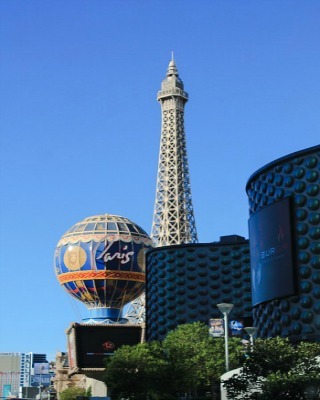 Foursquare data measure the number of stops made at leisure venues by people that are visiting from abroad, such as casinos, department stores, malls, monuments/landmarks, museums, night clubs, restaurants and theme parks. The numbers don’t lie. Fewer tourists head to America for leisure nowadays. Why is that so? Is an unwelcoming political climate really creating a “Trump Slump” in the annual $250 billion business and leisure travel industry in the United States? The drop in foreign tourists can be felt across all US states and many actually got creative and called it the Trump Slump alongside other popular terms like Trumponomics and Trump era coined in the wake of Trump’s presidency. and Despite winning the presidential race, we can’t deny the fact that Trump still isn’t popular with many of his citizens and even from people of foreign nations. And his controversial policies involving travel bans and the crackdown on illegal immigrants weren’t helping his image at all. WASHINGTON, D.C. — Friday, ahead of Memorial Day weekend, U.S. Senators Tom Udall and Martin Heinrich called on the Trump administration to take concrete steps to address the reported decline in tourism to the United States as a result of President Trump’s hostile rhetoric and harmful travel policies, which have created the perception that the United States is not a welcoming place for foreign visitors. In a letter to Commerce Secretary Wilbur Ross, Udall and Heinrich said that this “Trump effect” threatens to hurt the economy of the United States and of New Mexico, where tourists spend more than $6 billion annually and help sustain more than 90,000 jobs. Udall and Heinrich also noted that the “Trump effect” risks damaging the United States’ leadership in science and innovation, as foreign scientists are reportedly considering skipping crucial science and technical conferences in the United States. As the senators wrote, President Trump has proposed eliminating Brand USA, which promotes the United States as a travel destination around the world. It is only half a year into Trump’s administration but things aren’t looking pretty good for the US with him in command. His flamboyant and kind of arrogant behavior isn’t earning him points with his constituents. And worse, it is a major turn off for potential foreign tourists who want to explore and discover what a rich and diverse nation like America has to offer. Add to that the various bans he imposes when it comes to travel making visits to the land of Uncle Sam too stressful and cumbersome for many foreign travelers. Unfortunately, this current Trump Slump not only hurts the country’s image but even the nation’s economy as well, especially the business owners who rely on tourism to make money for a living. More Americans will hate Trump if he doesn’t take measures to address this tourism slump that is growing worse by the minute. Despite all the advances in technology these days, many people still frown upon alternative medicine. They have this perception that alternative isn’t always best and may even be dubious too. While this suspicious nature is actually beneficial to make sure that we always get quality products above all else, it can also be very restricting. Mankind tends to forget how most of the first drugs developed actually came from plants. That’s how powerful and useful they can be when used right and in moderation. One of the most controversial treatments that many still can’t seem to get over with is the use of medical marijuana. The funny thing about it is that while many oppose its legalization, many are actually rooting for it. Even if the marijuana stigma is still very much alive, various US states have already passed bills to legalize its use medically. It’s also a lucrative business for marijuana growers that will, in turn, boost the economy than when it was still sold illegally. It’s obvious that many states are still torn whether to support the legalization of medical cannabis while Canada already sets the approval for recreational marijuana in July 2018. Questions whether marijuana will also be sold alongside booze and tobacco now fill people’s minds. Vermont Gov. Phil Scott (R) has vetoed legislation that would have legalized marijuana for recreational use, delivering a blow to legalization backers who hoped Vermont would be the next domino to fall. Scott told reporters during a press conference Wednesday that he is not strictly opposed to legalization, but he said he would ask the legislature to make changes to the bill. “I’m not philosophically opposed to ending the prohibition on marijuana,” Scott said, according to local news outlets. Vermont legislators are unlikely to override Scott’s veto of the measure, which passed by only a narrow margin. Legalization advocates took solace in Scott’s comments, which they said could lead to a new bill as early as July. The legalization of medical marijuana actually received a lot of support from Vermont legislators. The lawmakers aren’t easily deterred by this initial roadblock and will come up with a revised bill to be passed this summer. Marijuana loyalists may be disappointed in not getting the governor’s approval they’ve been waiting for but the mere fact that the bill reached the governor’s desk is a good indicator of better things to come for those pro-medical cannabis advocates. 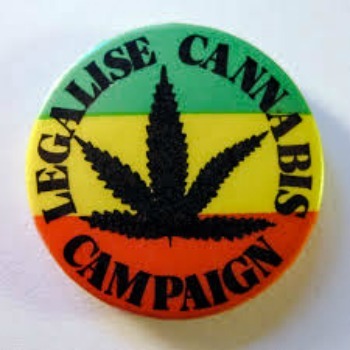 Many people are actually scared that when the use of medical cannabis will be legalized, its users will go on a violent rampage all over the city like some crazed drug addict but that is not the case. Crimes have actually decreased over the years in the Colorado area ever since recreational cannabis was legalized. Aside from that, people who actually used it right expressed positive changes in their bodies and in their health, especially among patients with conditions that don’t find relief in conventional medicine. And most of all, the government can save money and manpower in trying to catch illegal marijuana users and put all those money and effort to good use instead. Fortunately, there are lots of new opportunities now with the advent of modern computing technologies. Many unconventional careers have surfaced now that the technology that lets them thrive has become a reality. 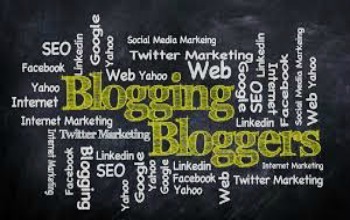 With the advent of the Internet and social media, blogging has been elevated from a hobby to a promising career. Bloggers get paid more than traditional careers these days and there are a lot of perks too. From freebies to sponsorships, you can have it all if you have the flair for writing captivating blogs. For many bloggers, writing is a personal passion. Every successful blogger who has gone on to build a real business started for the same reasons you most likely started yours — because they genuinely enjoy sharing their style with friends and fashion enthusiasts, and they would do it with or without financial reward. Monetizing your blog takes time, but the rewards can be great for those who are patient and willing to build something genuine. We’ve pulled together a number of tips to help you turn your own blog from a passion into a paycheck. It turns out that the passion you have for your blog is also what will make you successful when it comes to monetizing it. Even internet moguls like fashion influencers Chiara Ferragni and Aimee Song — bloggers who have turned their Blogspot accounts into commercial empires — started by simply posting looks they personally loved. This is important to remember as you work toward monetizing your own blog, because authenticity is often the first casualty when bloggers start thinking of their blogs as businesses. The most essential piece of advice we can give you is to stay true to your personal passions and what your followers love to see. If your posts start looking like advertisements or rote business advice, your audience may not trust you — and are likely to disengage. Blogging shouldn’t be looked down during this digital age. It is one of the most lucrative careers you can find for yourself if your writing and creativity is up to par. You must write engaging contents regularly that may or may not be full of amazing visuals and may be interactive too. Sounds like such a glamorous life and probably the envy of many in a lot of ways. It does not have to be written blogs all the time, though, since there are vloggers who make interesting videos on various niches such as makeup makeovers, toy unboxing, and cooking etc. These sites — a blend of a personal journal and marketing platform — have proliferated in recent years. Their typical narrative seems ripe for a romantic comedy: A 20-something woman who was unhappy in her conventional career quits to travel the world alone. But as audiences demand video, Instagram posts, Snaps and other media beyond the words and few images that used to be the stock and trade of travel blogging, many bloggers are finding that their depiction of a glamorous, jet-setting life is at odds with their daily routine. They have staffs, manage payroll and can work 18-hour days. Imagine being able to travel the world for free just because you have a blog. Wow! Who doesn’t love the new-age, right? There are countless opportunities for everyone who is gutsy enough and dares to dream big. These travel bloggers, for instance, are the stuff where dreams are made of. Be a jet setter like most royalties and celebrities are without shelling out even a single dime and still get paid a huge amount in return. The best thing about it is that you can blog about everything under the sun. The possibilities are endless. Do you think you have what it takes to become a pro blogger too? It is a sad thing to realize that the leaders who you thought will protect your rights and do their job right have other things in mind. Graft and corruption cases are increasingly becoming common because these elected leaders get blinded by the greed for money and power. Only a handful of the elected leaders today really have the best interests of their constituents at heart. Most of them only want to fatten their wallets and bank accounts while still in office. Among the individuals named in a federal indictment this week was one who has touched almost every corner of Arizona power politics: lobbyist Jim Norton. A familiar figure for years at the state Capitol, Norton was among Gov. Doug Ducey’s earliest political backers and a friend since college. His firm helped guide U.S. Rep. Andy Biggs to victory last November. He’s also the business community’s leading voice at the state Capitol. And, according to federal prosecutors, Norton was “a conduit” for bribes that water-company owner George Johnson is accused of paying to former Arizona Corporation Commission Chairman Gary Pierce. Authorities allege the money helped secure commission approval of higher rates for Johnson Utilities in the East Valley and Pinal County. In lobbying, reputation and credibility are vital. And the reaction in political circles to the indictment has been a mix of shock, disbelief and, in some cases, silence. These corrupt leaders often weave a web of lies to cover their tracks. However, no matter how good they make up stories or hide documents and cut paper trails, they may still likely be caught because their greed will push them to be more brazen in their exploits, making them miss out on even the smallest of details that can be the reason for their undoing. Politicians caught up in a sweeping three-year graft investigation are unlikely to return to their positions of power, former President Fernando Henrique Cardoso said in an interview. Cardoso included Brazil’s former President Luiz Inacio Lula da Silva, the front-runner in early polls for next year’s presidential elections despite facing five corruption trials, as among those whose political careers have likely been destroyed by the kickbacks probe. “It is unlikely that the people touched by the corruption scandal will return to the leadership they once had,” said Cardoso, a founder of the Brazilian Social Democratic Party (PSDB), which backs the current center-right government. Cardoso, himself facing accusations in the investigation, also said the profound cultural and constitutional changes now needed to truly clean up Brazil‘s system will take time. Brazil’s biggest graft investigation, known as “Operation Car Wash,” has turned up evidence of corrupt practices as recently as June, suggesting political kickbacks at state companies carried on despite the detention of scores of powerful businessmen and politicians. 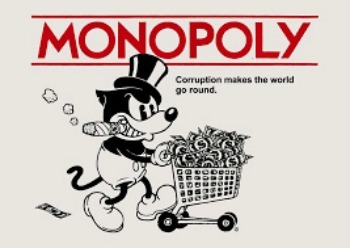 It is hard to totally wipe out political corruption in any organization. Someone will always be tempted to use their authority and power for their own personal gain. There is a long list of corruption cases. Some may be just a simple bribery while others can be a wide-scale embezzlement scam, yet the damage to the organization is just as awful. Any organization or office with corruption cases will always be tainted in the eyes of the people especially that these graft cases may or may not be directly related to more criminal cases. Now you know why politics and graft and corruption often go hand in hand. It’s all about money and power. These two factors are common in politics. So, make sure you vote wisely every election to avoid putting corrupt people into public office. Terrorists strike in strategic places to capture the attention of the world. They thrive on people’s fear and anger and will likely strike back once the public’s attention has shifted to more trivial things, and away from important societal rights. Over the past decade, we have witnessed increased terrorist activity all over the globe. Despite the focus of many groups, including the European Rail Congress, these terrorists thrive when they are in the spotlight. And once we panic, it means that they have achieved their purpose. The reactions by Western leaders and media to the latest Islamic terror attack essentially “signal in the strongest way possible to organizations such as ISIS, Al Qaeda, Boko Haram, Hezbollah and Hamas, that with every devastating attack, the West is ripe for the taking.” So writes lawyer and political analyst Judith Bergman for the Gatestone Institute. Who would’ve thought that a happy gathering of fans in Manchester will turn out to be a massacre the world will forever remember. Lives were lost and many more injured from the bombing attack. 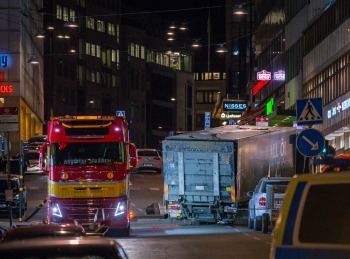 Although it is not yet officially ruled out as a terrorist attack, it is a big possibility as the attack’s motive. For many of Ariana Grande’s fans especially the ones who lost their lives that night, it was indeed the “one last time” they will ever see their idol or the light of day. Speaking in the Polish Parliament on Wednesday, Beata Szydło seized the moment to launch an excoriating attack on European Union leaders following the Manchester attack which, among others, claimed the lives of a Polish couple, leaving their two daughters as orphans. Many European countries have banded together and shown their support for Manchester and all the victims of this violent yet senseless crime. Many are scared while others are outraged. Yet the Polish Prime Minister said something sensible that all of Europe, or even the world, should think about. There will be no end to these terrorist attacks if we always cower in fear at the thought of them hurting us or any of our loved ones. We need to acknowledge that such an attack is an attack against all of humanity and we must fight back or forever be threatened by these heartless terrorists. Until we all unite and do just that, any nation will remain vulnerable to these terrorist attacks for who knows how long. Millions, or even billions, of people, go online daily, not only individuals but even big corporations and the government too. And as such, the potential is likewise limitless for cyber criminals who want nothing but to sow fear and confusion in the hearts and minds of online users while at the same time making money from their digital crimes. The web is indeed not a safe place at all both for the young and old alike. 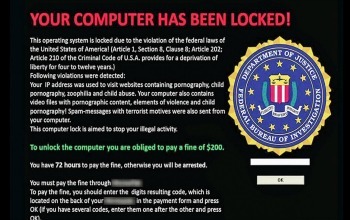 The ransomware that had just found its way onto Gren’s desktop was simultaneously installing itself onto tens of thousands of other Windows computers across Europe, Asia, and parts of North America. About 30 minutes after Gren’s screen had gone black, the National Health Service in the U.K. announced that computers in 16 of its health facilities had been infected. Doctors were unable to access patient records and emergency rooms were forced to turn people away. Soon, it was 33 facilities. Then there was a telecommunications company in Spain, a cell phone carrier in Russia, and the French automaker Renault. Anyone using certain versions of Windows that hadn’t been updated within the last month was vulnerable. Within hours, it was being called the most successful ransomware attack of all time. As reports of new infections in dozens of countries surfaced, and it seemed the outbreak could become an all-out epidemic, a 22-year-old security researcher in the UK made a quick decision. The researcher, who goes by the pseudonym MalwareTech, had gotten a copy of the ransomware program from a friend, and ran it in a test environment on his computer. He noticed the program was trying but failing to reach a web address, a long string of random letters with a dot-com extension. The word ransomware is all over the news now. It’s a type of malware that locks a user’s PC and keep their data hostage until the victim pays for the ransom, often in bitcoins. Unfortunately, there is no assurance that the crooks will give you your data back after paying the ransom, so victims are highly discouraged from paying. Latest evidence suggests “phishing” emails are unlikely to have caused the global cyber attack that wreaked havoc at dozens of NHS trusts and hit hundreds of thousands of computers in 150 countries. Security experts have disputed claims that the virus was spread through suspicious emails, saying that computers were vulnerable to the bug regardless of how vigilant users were. Experts said that unless IT departments patched the virus and backed up their files they could be hit by the attacks. Affected NHS trusts were criticised for not adding the patch despite warnings from NHS Digital a month ago that they were vulnerable to a possible attack. The terror this recent ransomware attack has created may have been widespread but the money the hackers got was a measly amount despite the extent of damage it has caused. Government officials should take this new cyber threat seriously because of the inconvenience it causes every time hackers make an attack. People’s lives are put on hold and their computers at risk as the government and the companies involved try to find the solution. It may take just a few hours or longer for some, so everything is put on limbo for the time being. The thing is, they may be able to slow down the malware’s progress but it still is here, a constant threat to vulnerable systems with equally vulnerable owners who won’t hesitate to shell out the bitcoin ransom money just to put an end to their misery.